We get questions from clients almost every day about link building strategies and techniques. As an Internet marketing company, it can sometimes be difficult to illustrate the benefits of the process to a client while keeping it easy for them to understand. Whether you’re a client or provider, this infographic can prove helpful in these types of situations. Aleyda Solis recently posted an infographic that illustrates a simplistic overview of the link building process. 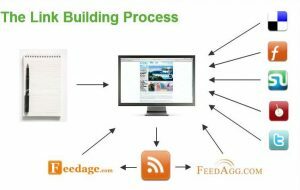 It breaks down what qualities make up a good link, and (depending on your site’s situation) outlines a roadmap that can be taken when starting a link building campaign. Also included are recommendations on tools to use for tracking and managing your campaign.